Almost three years ago, Netflix's Making a Murderer debuted in the winter of 2015 and became the streaming company's first true crime documentary sensation. 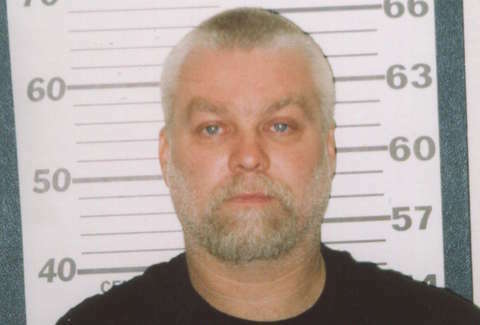 The first season told the story of Steven Avery, a Wisconsin man put on trial and eventually convicted for the 2005 murder of photographer Teresa Halbach, and the story continued to play out in the press after the show caught on. In July of 2016, Netflix confirmed that the series would return, and now, the streaming service has announced that the second season of 10 episodes will debut on October 19. As with many other true crime stories about possible wrongful convictions, the events surrounding Avery and his nephew Brendan Dassey, who was sentenced to life imprisonment for his role in the case, are very complicated. (We've got a recap of the major events here.) According to a Netflix press release, the second season of the show will provide "an in-depth look at the high-stakes post-conviction process, exploring the emotional toll the process takes on all involved." The creative team behind the show, writers and directors Laura Ricciardi and Moira Demos, will also be returning. You can view a quick teaser for Season 2 -- called Making a Murderer Part 2 -- below. In telling this story, the show will introduce Kathleen Zellner, a lawyer who specializes in wrongful conviction cases now representing Avery. (Apologies to the Dean Strang-ophiles.) Post-conviction lawyers Laura Nirider and Steven Drizin will also play important roles in the proceedings. "In ​Part 2,​ we have chronicled the experience of the convicted and imprisoned, two men each serving life sentences for crimes they maintain they did not commit," said Ricciardi and Demos in a press release. "We are thrilled to be able to share this new phase of the journey with viewers." With an ever-growing set of options to watch, like the gruesome new I Am a Killer docu-series or the true crime parody American Vandal, Making a Murderer will return to a very different version of Netflix than when it first debuted. We'll have to wait until October to see if viewers will stick with Avery's story for the long haul.